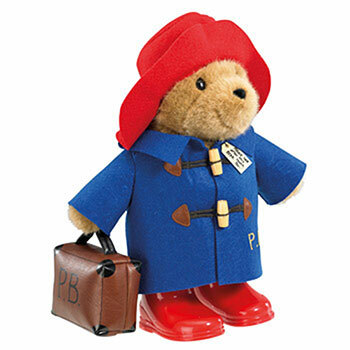 Paddington Bear 36cm Classic Standing Discounts Apply ! His well known Please look after this bear. Thank you. label is tied around his neck. He wears smart shiny red wellington boots and carries his own brown PB suitcase.